The Preparation Group has introduced two new coarser grades of Storm Diamond Pads which go beyond cleaning, to restore floors that are scratched and marked. Previously the pads, which fit Scrubber Dryers, Rotary Cleaners and Burnishers, were purely for cleaning and polishing floors and came in 400 to 3000 grades. The new 200 grade pad goes back further, to remove grime, stains and light scratches from Marble, Soft Natural Stone, Terrazzo Tiles, Decorative Resin, Floor Coatings and Wood. It leaves a dull yet clean surface, ready for working up the finer cleaning grades to achieve the level of shine required. On really worn, scratched and stained floors and to tackle any problem areas, there is also an even coarser 100 grade that can be used prior to the 200. 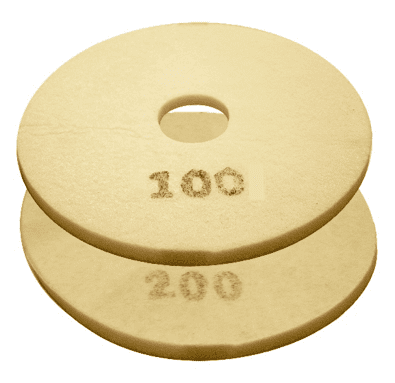 The new 100 and 200 grade Storm Diamond Pads are also designed for the first stages of maintaining Polished Concrete and Screeds, Granite, Hard Natural Stone and Seamless Terrazzo, removing heavy build-up of grime before the general cleaning process. Like all diamond pads, using them with water rather than dry increases pad life and produces better results, no chemicals are required. For the best finish, cleaning stages shouldn’t be skipped and it is a case of working up through the grades and then stopping at the desired level of shine.